Looks like Facebook is on a spree of rolling out new features. Last week Facebook rolled out an update for Messenger which lets users add multiple accounts on Android. Now Facebook has started rolling out Reactions. Reactions is an extension to the Like button. Until now, there was only one option to express your opinion, and that was the ‘Like’ button. Although there was a huge demand for the ‘Dislike’ button as well, but Facebook hasn’t rolled it out yet. What Facebook has done is they have rolled out Reactions which is more of an extension to the Like button. “We understand that this is a big change, and want to be thoughtful about rolling this out. For more than a year we have been conducting global research including focus groups and surveys to determine what types of reactions people would want to use most. We also looked at how people are already commenting on posts and the top stickers and emoticons as signals for the types of reactions people are already using to determine which reactions to offer.” said Sammi Krug, Product Manager at Facebook. 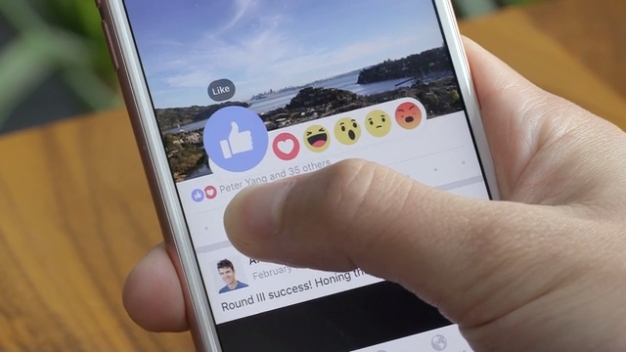 There are a total of 6 reactions including the Like button which you can use to react on a post on Facebook. In addition to Like, you can select Love, Haha, Wow, Sad or Angry. In order to add a reaction, all you need to do is hold down the Like button on mobile to see the reaction image options and add the one you want. If you are using the desktop version, hover over the Like button to add a reaction.